Congratulations on one of the most amazing chapters of your life! Whether this is your first child or fifth, every pregnancy is a unique and magical experience in its own way. Carrying a child is a big task for your body, and being a mother of two wonderful children myself, I understand exactly what it is like to feel scared or unsure of what lies ahead. That is why, as you embark on this incredible journey, I want to share with you all the tools, tips, and insights that worked for ME during my own two pregnancies. 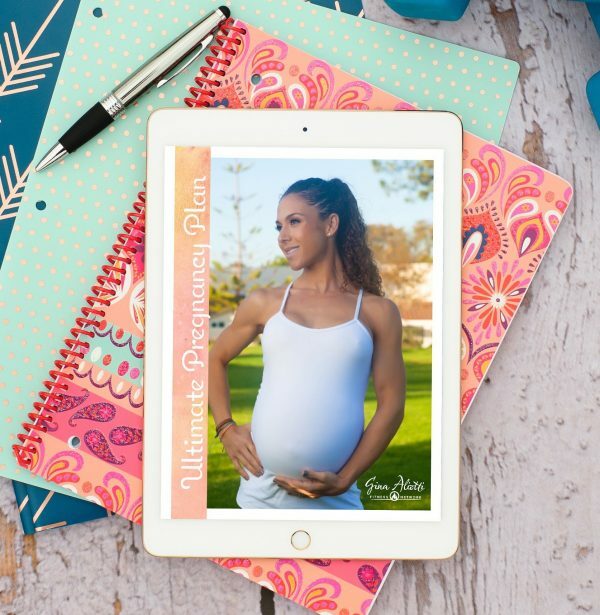 The Ultimate Pregnancy Plan will walk you through each trimester step-by-step, so you can simply focus on enjoying the months ahead without worries! Do you want to know how to exercise safely and effectively for optimal health and fitness during your pregnancy? Do you want to learn what and how to eat to maintain a healthy body weight while still supporting your growing baby with the right nutrition? Do you want a peace of mind knowing that you are doing the best thing for both you and your baby at all times? I read this article and found it very interesting, thought it might be something for you. The article is called Ultimate Pregnancy Plan and is located at https://ginaaliotti.com/product/ultimate-pregnancy-plan/. In fact, there is no better time to take charge of your health, fitness and choices than NOW! I bought the UPP during your last sale not expecting to need it until fall. Well, God has other things in store for us! I’m on week 5 of UAP and just found out we are expecting. So just opened up UPP for the first time today. LOVE LOVE LOVE! I am so excited. I have a 1 and 3 year old and was not eating well and did not continue to work out during either of those pregnancies. I am in better shape now than I was before kids but still have a LONG way to go. I am sooo excited to have found you and your programs! I admit, I am ready for a change as far as diet goes. Excited about UPP meal plan. Love the circuits! Going to start them next week instead of doing week 6 of UAP. Just wanted to say thank you! 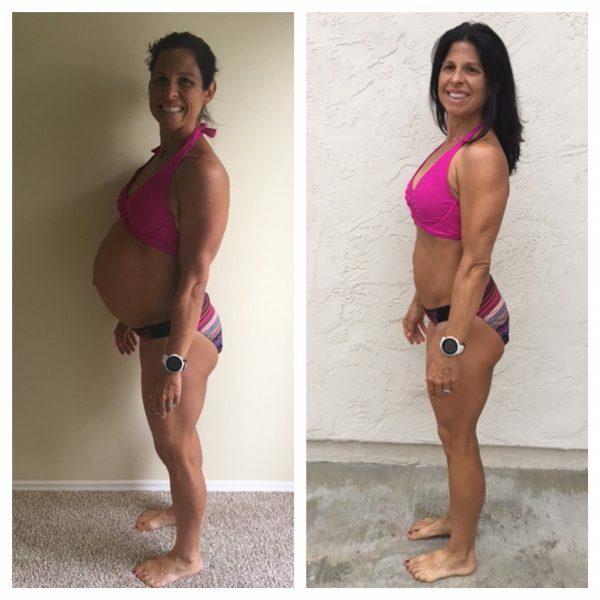 I purchased Gina’s pregnancy plan and utilised the circuit programs right up until 37 weeks pregnant. This is my third child and I was able to fit the exercises around looking after my other 2 children (age 4 and 2). I thoroughly enjoyed the workouts and felt that they significantly contributed to both my physical and mental health. My daughter was born at 38 weeks and I am back down to one size above normal, 5 weeks postpartum, and I have to in part contribute this to all the help with Gina’s UPP. 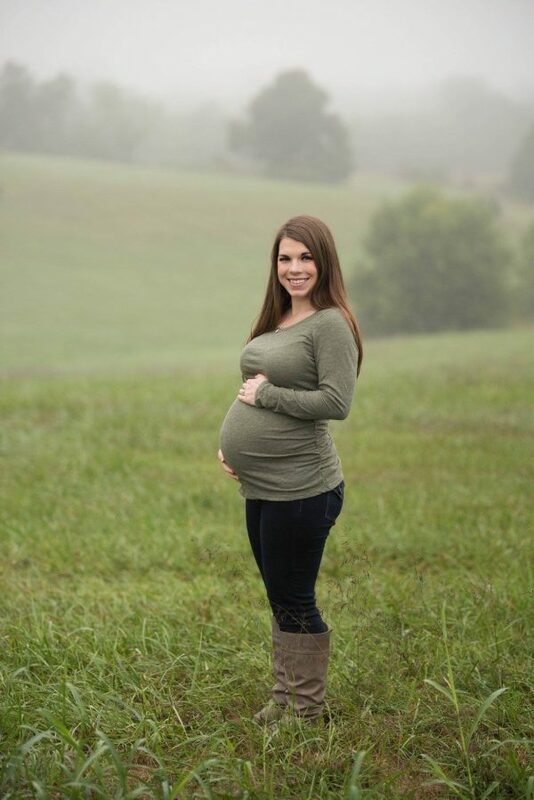 This definitely was different than my other pregnancies! Looking forward to moving onto Gina’s UAP to continue my journey towards the best me postpartum. Thanks Gina. When I found out I was pregnant, I knew one of my top priorities throughout my pregnancy was to stay as healthy as possible and to make sure I was eating right for me and my baby. I purchased Gina’s UPP several weeks in, in my 1st Trimester and I was so anxious to start it. 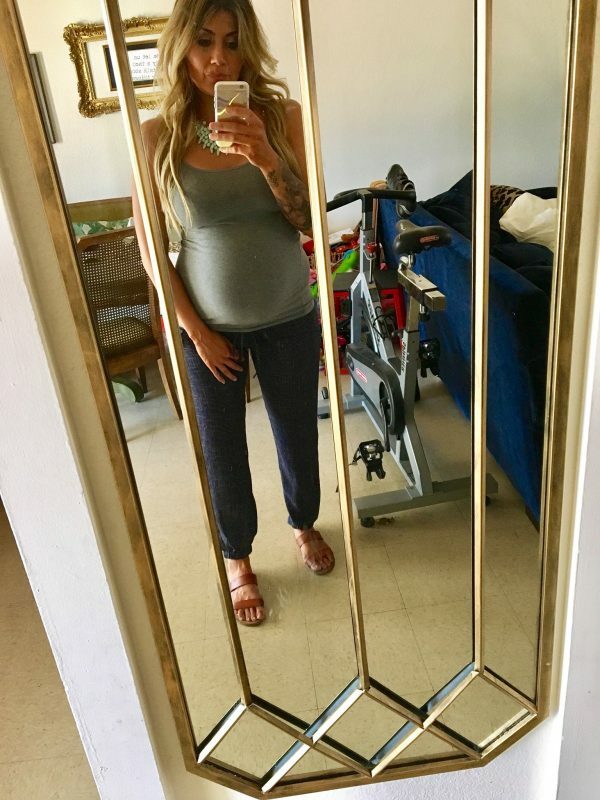 I stuck with it, MOST days throughout my pregnancy…some days I was lucky enough to get a shower & put clothes on, haha. My husband and I wanted the Lord to surprise us with the gender of our baby, so on October 24, (almost 3 weeks early) our sweet Harper Lynn was born at 6 lbs., 9 oz. and 19 inches long. I have to credit my active lifestyle over the years, Gina’s plan & encouragement, the support of my husband & my doula, and my faith in God for helping me have a natural and drug-free birth! I can honestly say that Gina’s plan helped me TREMENDOUSLY throughout my pregnancy to stay in the best shape possible and help me stay under my set “goal” of 30 lbs. I only gained 29 lbs. throughout my entire pregnancy and less than a month later, I was only 1.2 lbs away from pre-pregnancy weight! I can’t wait to be an example and teach my daughter about living healthy throughout working out and eating right. Thank you so much, Gina!!! Your plan, communication, and encouragement throughout my pregnancy is SO appreciated! I can’t wait to continue on with the UAP! This was my second pregnancy working with Gina and I am SO happy with how my journey unfolded. I cannot thank Gina and her plans enough! Thank you for keeping me healthy, in amazing shape and able to have a smooth delivery! I only gained 11.5 pounds and 3 weeks PP am already below my starting pregnancy weight. I couldn’t be happier with the results. THANK YOU Gina!